Social media can feel overwhelming if you try and tackle everything and everyone. That’s why, it’s important to have a proper strategy in place that nails the core components of your real estate social media plan. Get this right and you’re well on the way to building some great online presence and your army of loyal followers. 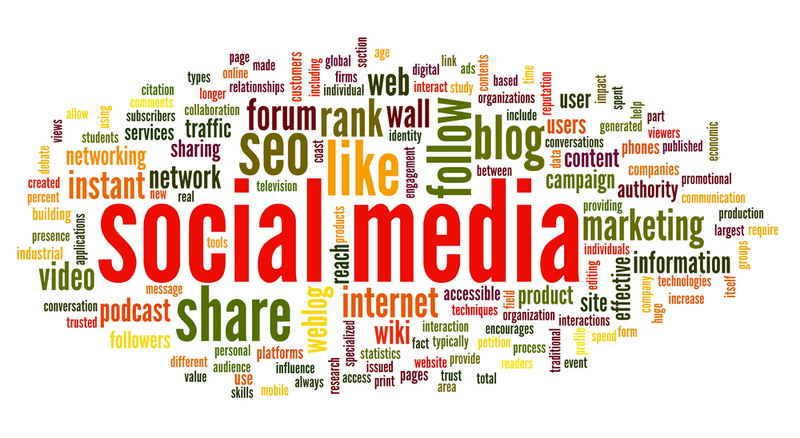 Like any strategy, your social media strategy should have a clearly defined set of objectives. What are you trying to achieve for your real estate business? Of course like any business owner, your ultimate objective is to grow your business – but what are the little steps in between that will get you there via social media? More website traffic? A larger pool of buyers? Facebook ‘likes’? Increased enquiries from local vendors? The priorities for your agency will help set your strategy. Before starting to think about how you’re going to master your social media strategy, properly define your audience. Who are you targeting? You can’t be everything to everyone, so don’t try. Are you hoping to attract keen property investors to your website? Do you want to raise your awareness with first-time home buyers? Does your agency target high net-worth property purchasers? As soon as you define your audience, you’ll find it much easier to move onto the next stage. This is the part where you decide on what you’re going to talk about. Whether that’s via Twitter, Facebook or Google+, create a set of rules or topics and stick to them. When people start to follow you, they’ll become quickly annoyed if you’re constantly changing your proposition. Before publishing your latest wisdom or update, ask yourself if what you’re saying is speaking to the needs of your audience. Your real estate agency might decide that it would like to make ‘market analysis’ the core element of the content strategy. Depending on the objectives you’ve decided on, property updates might be what you should focus on. To keep it interesting, you could select a few topics that are of interest (and relevant) to your target audience and create a content calendar of what you’ll talk about and when. Make sure what you’re talking about is relevant to your audience. Is it something that’s of value to the segment you’re targeting? Or are you just tweeting for the sake of tweeting? When you’ve decided on a plan of attack, stick to it. If you’re blog posting on Tuesdays, stick to that day. If Friday’s your property update day, keep it that way – your audience will learn to expect your communication and are more likely to pay attention, if there’s no shot-gun approach involved. Consistency also applies to the tone and style of your writing too. Make sure that the language you’re using represents your real estate brand and remains the same across all your social media channels. When you’re tweeting and posting, you should ideally be directing people back to your website. Social media is a great way to generate additional website traffic – so start off with some well-written and meaningful blog posts and ensure your website developer installs social media plug-ins as a standard for each blog post. The more traffic you bring to your site, the more people will read your blog posts and ultimately share them with their networks. This is when social media really comes into its own. Don’t try and conquer all social media channels. You’ll simply set yourself up for failure. Choose two or three channels for your real estate agency and do them well. Think about your audience and the channels they might use. Think about your content strategy and the best way of getting across your key messages. Follow these best practice rules and social media isn’t that scary at all. You just need to set aside the time and resources to approach it in the right way. Find this post useful? Please share it! Need help, advice or cash flow support to grow your real estate business? Get in touch with our friendly team on 1800 003 569.